Since the Tomb Raider Definitive Edition released a few weeks ago I have been thinking a lot about what other games from last gen I’d like to see redesigned and re-released on current generation consoles. While some folks think this is a silly idea and that it is only a “money-grabber” for game companies, I think that it’s actually pretty neat to think of last gen games being given some HD love. I mean who doesn’t want to see some of their favorite games from the Xbox 360 and PlayStation 3 remade in stunning HD? Of course, it would have to be the right games since everyone has their favorites, and that is where this list comes in. These are the five games that I would really like to see remade for the PlayStation 4 and Xbox One in the future, enjoy. The first Uncharted game is arguably the best in the series, which doesn’t really matter since all three games are amazing. 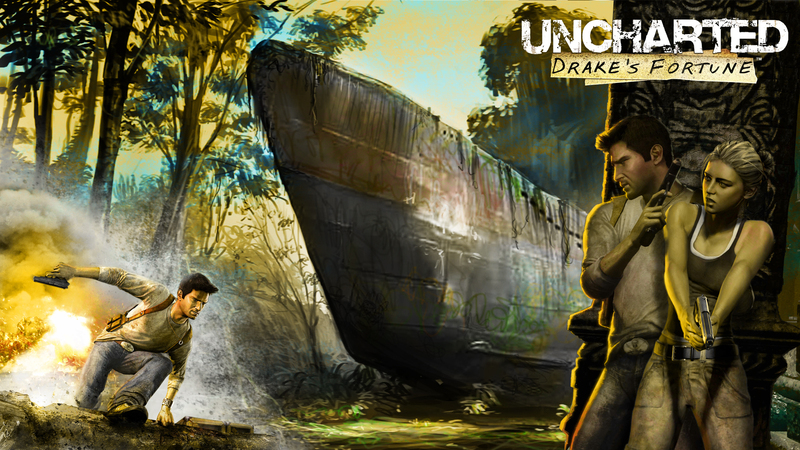 The Uncharted series is one of my favorite game series’ out there for obvious reasons. I mean, it’s like a dude Lara Croft with great gameplay and lots of adventure. What more is there to love in a game? I ‘d really like to see this entire series remade for the PlayStation 4 starting of course with Drake’s Fortune as it would be glorious to replay these beauties in high(er) definition. I think that since they already look really good for their time it should be easy enough to update them a little. Freshen up the graphics, give it 1080p resolution and maybe even a frame rate of 60FPS (as was done with the Tomb Raider: Definitive Edition). This could also be a great way to rope in newcomers to the series, as well. A new Uncharted game was recently announced and maybe some of the folks who have PlayStation 4’s now but never owned PlayStation 3’s would like to get in on the awesomeness that it the Uncharted series. I got all jittery and excited while thinking of this one on current gen consoles, just saying. 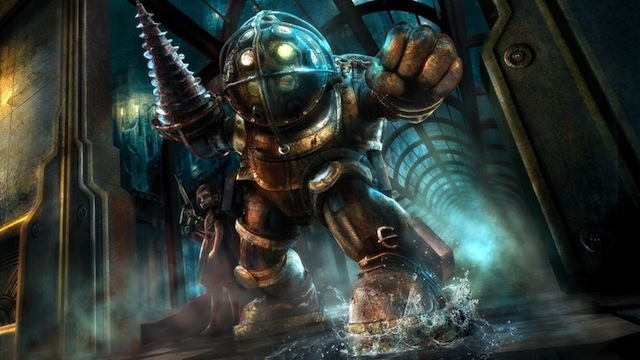 Anyway, the first Bioshock game is a great candidate for an HD upgrade. It’s one of the most widely cherished games from last gen for many people (myself included) in the gaming community. As was the case with Uncharted, this could also lead to the entire series being given a good, old-fashioned face lift for the PlayStation 4 and Xbox One, which would be glorious (at least in the case of Bioshock 2, Infinite already looks pretty great). If this was to be remade and freshened up I’d like to see a few polishing additions to the game as a whole. For one I’d like to see more gore, when a Big Daddy drills a Splicer I want it to look way more realistic than it currently does. Another think I’d like to see is the ability to use a weapon and a Plasmid at the same time, like in Bioshock 2. This is just me hoping and wishing, I doubt they would update it that much but it would be nice. Even if the game was exactly the same but obviously updated and prettied up for current gen, I’d be ecstatic. Come on, wouldn’t that look amazing in 1080p? You know it would. I think that the already heightened fear level would be amped up so much if this game was way more realistic looking due to updated graphics and whatnot. I mean, imagine everything looking almost touchable and sounding a clear as it could be. Those Necromorphs popping out the vents would wreak havoc on your psyche and you know it. With this one I am not sure if the other games in the series should be redone as well. It would be great if they did of course, but I really want to see the first game in HD since it looks so outdated on the last gen consoles. Aside from the added fear factor, I just think this game deserves update. 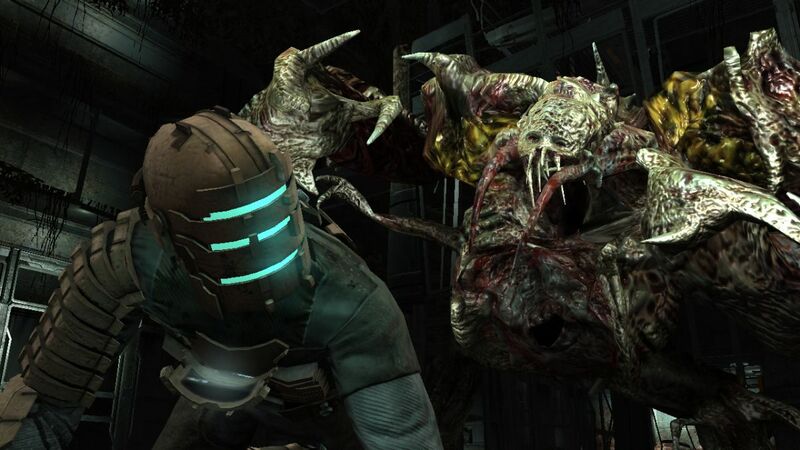 It’s one of my favorite games, hands down, and definitely the best game in the Dead Space series. All this game is missing, in my opinion, is some polish and while this may not be the game I most want to see remade for current gen consoles, I think it deserves a shot. Maybe the gameplay could be updated a little, some of the awkward glitches and flaws could be removed, and the graphics could be freshened up. I think that would be so very awesome considering how fantastic this game already is. One of the best aspects of Madness Returns, for me, was the beautiful and stylized scenery. 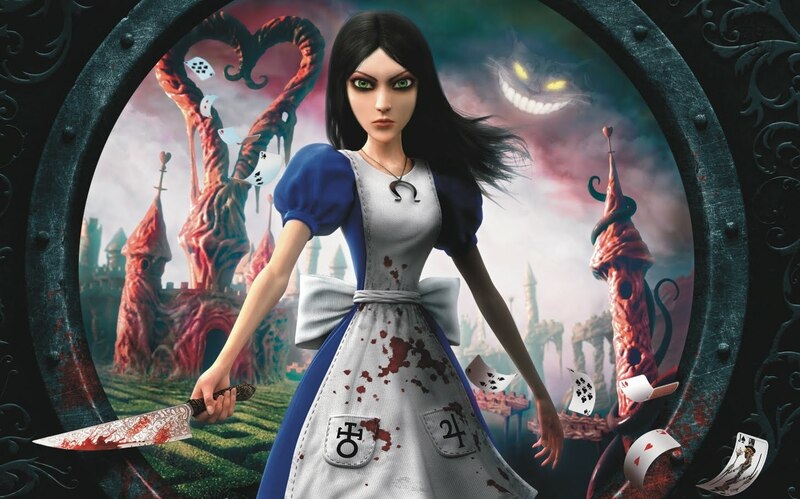 American McGee’s Wonderland is so fascinating, I adored the direction he took it and the art team behind this game really brought it all to life. Updated graphics would really benefit this game in a great way, there were a lot of areas that needed some extra attention, which could be done if this game were to be remade for the PlayStation 4 and Xbox One. Seeing Alice hack and slash her way through Wonderland, blood splashing everywhere and heads rolling, would be marvelous in HD. Come on, you had to see this one coming! If I could only choose one of the games on this list to be remade for the PlayStation 4 and Xbox One, this would be the one. I have been wanting to see the first Mass Effect remade and updated for so long and now that the current gen consoles are out there is no better time to do it. As with Bioshock, I’d like to see more than just a simple polish and the one thing I want more that ever is a gameplay/combat system more akin to that of Mass Effect 2 and 3. I think that would make this game much better, which is difficult considering it’s already an amazing game. This could lead into a whole series remake. We could see Mass Effect 2 and Mass Effect 3 redone in stunning HD with all those annoying glitches and awkward animations removed/smoothed out. We could be fighting the Reapers and romancing Garrus (or whoever, they all rock) in all the updated, 1080p, 60FPS, HD glory that this series was meant for! I can see it now: I’d quit my job, stop going to school, and never leave my room. I’d just play the Mass Effect series over and over again until the end of time. That’s a little over-dramatic, but honestly it sounds pretty awesome to me. Now that you have seen my choices, what are some of yours? Want to see the Metal Gear Solid series updated? Maybe the Dragon Age games? Something completely different? Let’s hear it, folks! I’m eagerly waiting to hear what all you lovely people would want to see on the PlayStation 4 and Xbox One, even if you don’t have a current gen console at the moment. I’d probably say Uncharted (because I love them to death) and Mass Effect because I have not played them (don’t kill me… I’ve never been into RPGs but I’d like to try it and this might add extra incentive). I really think if they do these they must be trilogy packs though! You’ve never played Mass Effect? :O I understand, but you should get on that! I’m not big into RPG’s myself but Mass Effect is a whole other level of amazing. I’ve never played the Alice game, but I definitely agree with your other choices. Obviously, I’m especially fond of the idea of a Mass Effect HD remake. I’d also like to see the Dragon Age games get the HD remake treatment. That would be cool to see some older games get made for the Wii U. Since Nintendo isn’t coming out with a whole lot of new content they should at least re-release some older games for their home console like Ocarina of Time and Majora’s Mask (crosses fingers! ).